The Multi-Tier Racking and Shelving Storage Systems allow for Maximum Storage Density for shelving and negates the need to purchase a mezzanine. It is particularly useful for Small Parts Storage and in environments where a high-speed picking operation is desired. A multi-tier storage systems is generally constructed using standard pallet racking and shelving components. 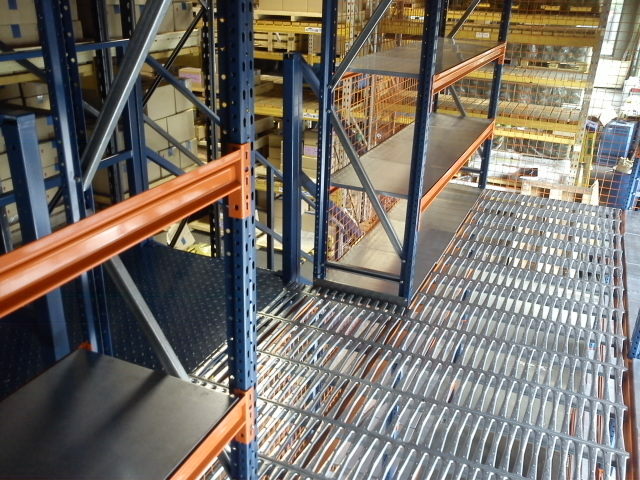 Shelving is constructed in the same manner, however the racks frames will be 5m+ high to accomodate atleast 2 levels. 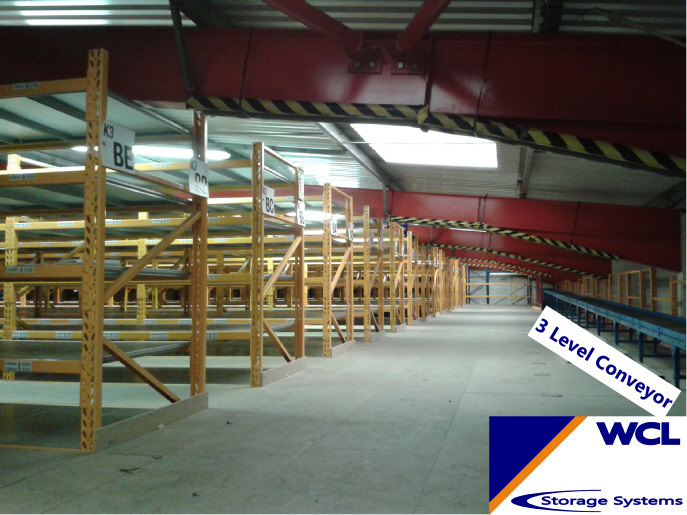 This height can be increased by however much available head room there is in your warehouse allowing approx 2.5m per level. Walkway aisles are between 900-1200mm to allow mobility when retrieving or picking stored products. Get in touch for a completely free site survey & CAD designed proposal. Why Choose WCL for your Multi-Tier Storage? Whether you plan for a 2,3 or more tier shelving system allow WCL to take the strain and work with you from conception to completion. We will offer you a fully detailed CAD Design Proposal and all the information required for local authority approval, either filed by WCL or you. Once happy with the design, WCL will then supply and deliver the materials to your site to be constructed by our highly professional and experienced in-house installers. Once complete you will be issued a completion certificate and full commission of the construction. A multi-tier racking and shelving storage structure can be quite a complex build with a need to consider smoke detection, means of escape, building regulations & lighting. WCL’s turn-key service means you can leave all of this to your WCL project manager to arrange. If you have any questions call us on 01822 612020.